An Instagrammer who lost thousands of followers when her account got deleted called the police and likened the experience to ‘murder’. I’ve never really understood why people pay so much attention to the amount of followers they have, but I suppose when you’re relying on your Instagram account to make money, it’s kind of a big deal. Jessy Taylor is clearly very wrapped up in the site, having gathered over 114,000 followers, so when her account got deleted, it was as if the world had ended. She shared a video in tears after multiple spam reports led to the disappearance of her page, and explained she’s ‘nothing’ without her following. It wasn’t reported from posting nasty photos. It was reported from having haters. 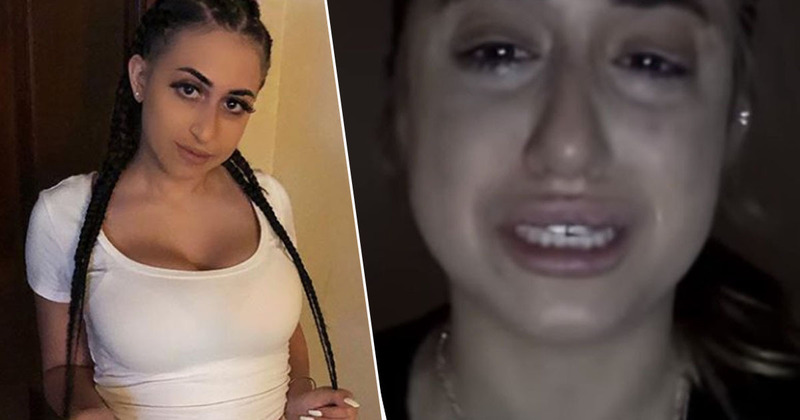 The Instagrammer has reportedly faced backlash in the past for trouble with law enforcement and streams of her online, in which she made alleged racist comments. She claimed her controversial actions were an attempt to get more followers; a move she copied from other influencers who she says can say whatever they want, and still maintain their popularity. It feels like everyone is after me for no reason. What is their legit reason for not liking me? They’ve never met me in person. How can you hate me from a computer? How can you write a paragraph about someone and hate them so much after just seeing a video of them? The social media personality explained that when her account got deleted, the person who was instrumental in taking it down posted screenshots and bragged about it. However, rather than dealing with it alone, Jessy attempted to get the authorities on her side. Although they probably had actual murders to deal with, to her the loss of her Instagram was a crime of the same level. I called the police actually and told them about this, and they said you can’t compare a murder to this, and I was like, no, that’s exactly what it felt like. Her account has since been resurrected from the dead, as Insider report a spokesperson explained Taylor’s account was deactivated ‘in error’. We apologize for the inconvenience caused. We worked to rectify the mistake as soon as we were notified and have already taken steps to prevent this from happening in the future. It feels amazing! I had one of the founders contact me and they told one of the tech people to give my Instagram back and I got an email! I will never be the same and this was a blessing in disguise. You have to go thru the rain to get to the rainbow [sic]. If only all murders were as easy to resolve.